Peeking out from the side of our house I was surprised to see a whole bouquet of these tall pink Lilies thriving in their shady corner of our backyard garden. The humidity has been pretty intense as of late but that doesn't seem to be deterring these beauties from putting on quite a show. 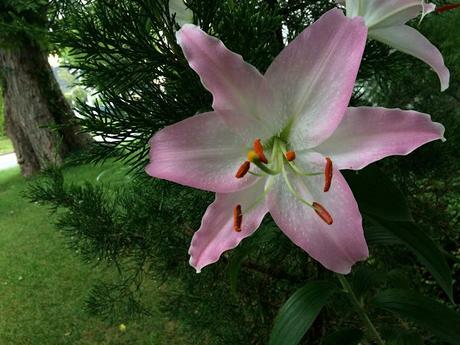 Thank you sweet smelling Lilies.